Learning how to navigate the oftentimes perplexing world of investments and the stock market was something we unfortunately barely went over as we were growing up. If only someone would have shown us the way a little more clearly, we'd be less reliant on working with a broker or stumbling through the learning process on our own. Luckily, there's this Complete Stock Trading Program — this lifetime membership shows you how to navigate the world of stock trading with best practices on how to successfully trade in the modern economy. Every month, you'll learn new, proven tactics to trade stocks with low risk using analysis from fundamental, technical and risk management perspectives. This membership gives you comprehensive access to all pre-recorded and upcoming live tutorials, so you can give yourself a trading education on your own time. 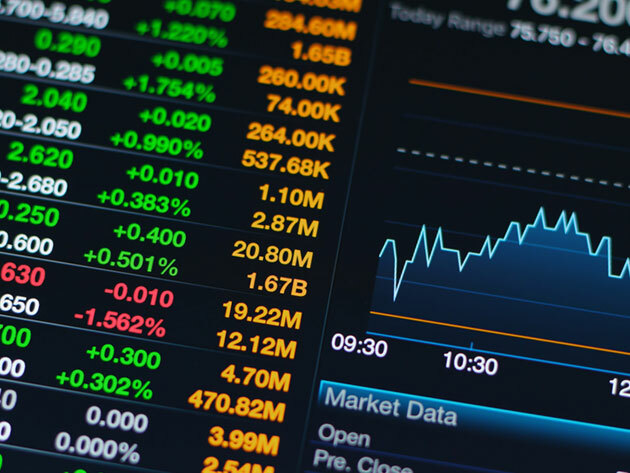 Test trading situations with no risk using the real-time simulated trading software to test out new methodologies without risking any of your hard-earned real money. You can validate your learning with an interactive Q&A in each live class, and evaluate your skills one-on-one with professional traders. Finally, the education in stock trading you've always needed: usually, a lifetime membership to this Complete Stock Trading Program is $695, but you can get it here for $49.